One of the best ways to stay on top of life is to organize your responsibilities, goals and projects. Writing down a list of the things that you need to accomplish can really help your ability to be productive and stay ahead. 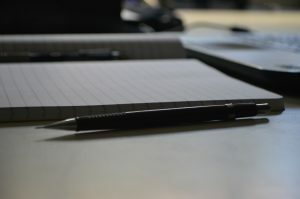 Here are 5 reasons why writing a list is a great step to take to help you get things done. 1. Having everything written down means that you won’t forget about things. Have you ever felt like you had done everything, sat down to relax, and then gotten a phone call reminding you that you forgot to do something? Not a good feeling, and you don’t want to be the person leaving others waiting. Having everything written down means that you can sit down and relax stress free. 2. Speaking of stress, that is reason two. Having all of your responsibilities written down makes them feel more achievable. Cleaning the house or sending those emails might seem daunting, but checking off something from a piece of paper? Not that hard. Knowing that when you reach the bottom you are finished, and having things broken down easily will help you not to worry as much. The progress that you feel from checking off an item will keep you going. 3. Motivation. One of the funny things about our brains is that we can trick them sometimes. One of the best things to do when you need to get things done is to create games with yourself. Set rules, and make yourself follow them. Turning a chore into a competition can make a big difference in your ability to get it done. And the motivation from checking off something can keep you going onto the next task. 4. Show off. Having a checklist of everything you have accomplished, and the things that you need to do will help other people appreciate your workload more. Ever had someone casually imply that you don’t do very much? It’s a lot harder to do when they are looking at a detailed list breaking down all of the things that you did. 5. Get things done faster. Having everything laid out will allow you to plan your day more efficiently. Grouping things together that can be worked on simultaneously, and having a plan in your mind to do the next task will decrease the time wasted when switching between tasks. Both of these things will help you get done sooner, giving you more free time, and making your bosses happy.